Retail store that you will find fresh made soups, chowders, sauces and seafood dinners at factory prices. Such a huge selection. Good prices and the food is great. The Chowder Factory has excellent service & selection. Would highly recommend! Would definitely rank this as a "5" (for some reason wasn't allowed to "click" on the below numbers). This place has a small place for the public --- which allows one to purchase cooked meals, including soup. I had the Mac and Cheese/Lobster. Was tasty --- I'm not used to bread crumbs on top --- it took some getting use to --- but was tasty. Also, the lady was quite nice and friendly. Thank you for the gift of Boston Chowder! It's delicious! Great variety of prepared food. Chowders are delicious! Would highly recommend. The woman at the register was such a joy!!! She was so warm and inviting. Delicious chowder. Also picked up a chicken pot pie. Great assortment of chowders, soups, chili and other meal to go items. Wide assortment of seafood items..chowder...pies lobster mac and cheese !! Awesome!! Cindy was great to help me in choosing which soups to get! I would absolutely come back. I would have never found the Chowder Factory on my own. 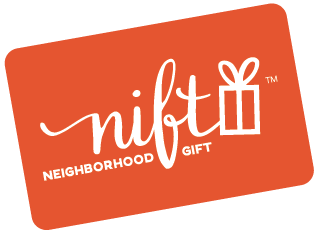 Getting a nift gift was the only reason I ventured down that street, and it was a great find! I would definitely consider returning for some comfort food, there. Very friendly staff, delicious soup! Love their soups....better than homemade! The soups that I’ve tried are great thus, but there was one thing that left me puzzled. The woman who was managing charged me $46.95 for four 32 oz. soups. I used my Nift discount and the total went down to $36.95. The problem is the soups were $8.50 each on the container and on the receipt, so where does the $46.95 come from? Did I just get hustled out of my discount? I love soup and told her I’d be back for sure, but if this is the way they conduct business, I’m not so sure. I was really pleased with the wide selection of items available at the Chowder Factory outlet. I had a hard time choosing between the various soups, pies, and sweets. I ended up grabbing a pint of Autumn Bounty soup and some chicken pot pies for dinner - all of which were delicious. The price was great as well!